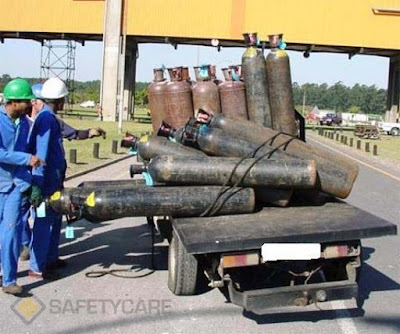 This photograph highlights the dangers posed when transporting gas bottles in vehicles. 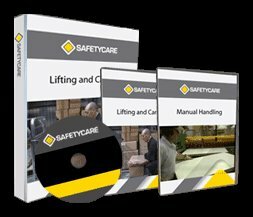 In this case, the single rope holding the gas bottles failed, causing the load to become unstable and potentially hazardous. If you are transporting gas cylinders in a vehicle, ensure they are securely restrained in an upright position. One means of ensuring gas bottles are restrained, is to stow them in a built-for purpose cage or vertical racking system.